Hi friends! It's Julee here and I'm so excited that Verve is a Super Sponsor for the Fall Coffee Lover's Blog Hop! It's no secret from the number of sets Verve has related to tea and coffee that this is definitely my kind of hop! The hop starts today and runs until Friday, October 2 at 11:55 pm pacific. 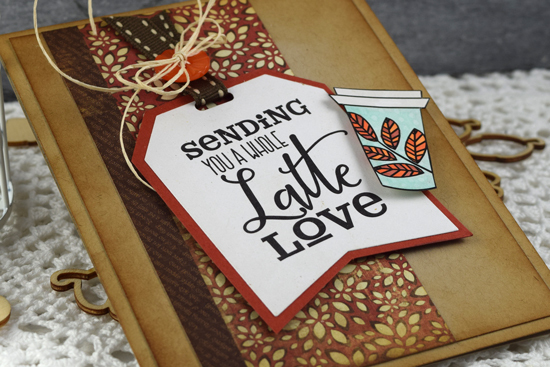 You must link up a newly created fall themed coffee, tea &/or cocoa project over on the Fall Coffee Loving Cardmakers blog post in order to be eligible for any of the sponsored prizes. Anyone is eligible for a Super Sponsor prize if they link up a newly created FALL Themed Coffee, Tea &/or Cocoa project, no back-linking please. Random.org is used to draw for winners. I've been slowly dipping my feet back in the waters of the real world and illustrating a teensy bit now that the twins are in Montessori for a few hours each day. So I designed a fun little fall coffee themed digi set I'm making available as a free digi through October 15! I hope you enjoy it! available as a free download in the Verve store for a limited time. My card came together so easily. I just love this big old sentiment, and it is the perfect fit for our Flourished Tag Die. I printed the digi stamps on white cardstock, cut the tag with the die and fussy cut the java cup. I colored it in with copics, then made a mat for the tag from cajun craze cardstock and punched a slit for the ribbon/button/twine embellishment. A scrap of designer paper and some crumb cake cardstock finished things off. So fun, don't ya think? I drew my inspiration from the graphic for our Autumn Lovelies Inspiration Challenge, open for entries through October 5. 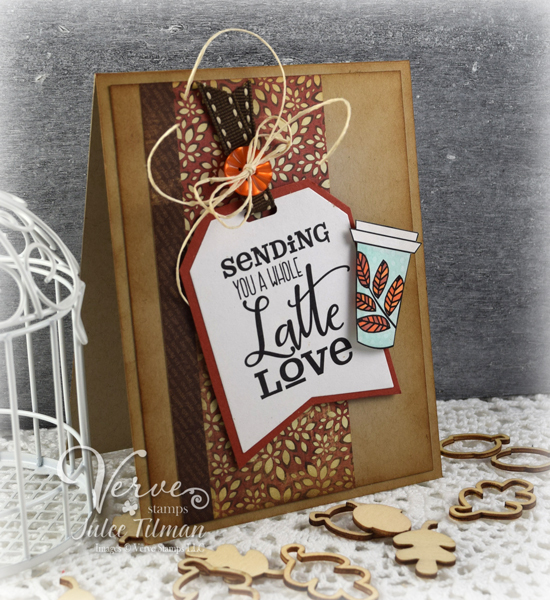 If you want to see a little more, I've got another card using the Latte Love digi set over on my blog, Poetic Artistry. Alrighty, I hope you have a fabulous time hopping around seeing all the droolworthy coffee, tea and cocoa creations along the hop. I'll be making my new favorite obsession to keep me company along the hop... One Minute Coffee Cake in a Mug. Seriously, the PERFECT pick-me-up after surviving getting two 3 year olds (who are not happy risers) dressed, fed and out the door with lunches in hand!